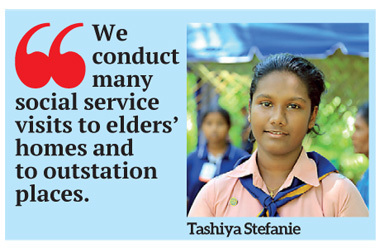 For the centenary year of the Sri Lanka Girl Guides’ Association, the guides have many events lined up in order to uplift their girls and members of society. One such event, ‘Aththammage Kusalatha Tharagaya’, was held on Saturday, April 29. 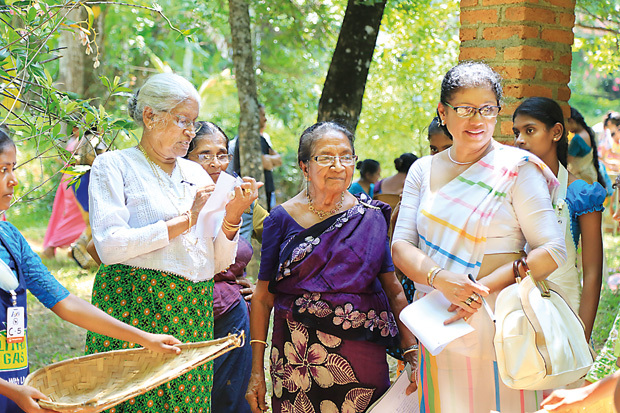 Guides from all nine provinces joined here at the Polhena Walawwa in Rathambale where they took part in many competitions, from pounding paddy to making watalappan to drawing rangoli. The guides were exposed to various traditions carried out by their ancestors.The day was marked not just to commemorate the services of those who came before but also to celebrate the SLGGA’s most illustrious Girl Guide, Sirimavo Bandaranaike, Former Prime Minister of Sri Lanka. The Daily Mirror was also able to get some insight from Guides at the event. “We take part in many interesting activities at the Girl Guides. We’ve gone on hikes and camps and in order to earn badges, we are given different challenges. Everything is really fun and we learn so much. We have learned to cook, sew and wash our own clothes. We conduct many social service visits to elders’ homes and to outstation places. At an event like this we can learn about the traditional foods and activities of various Sri Lankan cultures,” said Tashiya Stefanie, 17, from Sapugaskanda Vishaka Balika Vidyalaya. "This is the centenary year of the Girl Guides and this is the second event we have organized in order to commemorate this year"
“We learn how to face life in general. In these camps, we learned to cook, look after ourselves and gain leadership skills. We also do a lot of community service in the Guides. This event is important because we get to learn about how things were done in the past before technology and before everything was ready-made. We can also learn about our roots and about people from other ethnicities,” said Yadhusha Raweendram, 14, and Isuri Chandrasiri, 14, from Lyceum International School. Addressing the crowd, Yasmin Raheem, Chief Commissioner of the SLGGA said, “On March 21, 2017 the SLGGA celebrated 100 years of excellence in the leadership of girls and women. The work of the SLGGA is designed and implemented by volunteer members. The fact that this volunteer-based movement has sustained itself for a 100 years is not only a call for celebration but also for reflection. We should look back on our strong traditions and move forward into the new century progressively. 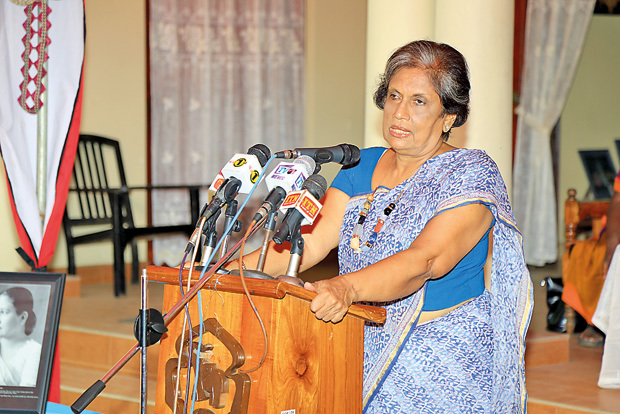 Chandrika Bandaranaike Kumaratunga, Former President of Sri Lanka and Chairperson of the Office for National Unity and Reconciliation was the Chief Guest at the event. She started off her speech by speaking about how her mother was part of the SLGGA and how she used the qualities she learnt from being a Girl Guide throughout her life. “My mother, Mrs. Sirimavo Bandaranaike, was a Girl Guide from the time of her schooling at St. Bridget’s Convent. Even then, the SLGGA was very active. She was also a ranger and head of the rangers before she left school. Afterwards I’m not sure what she did with the Association. But because I know of the activities of the Girl Guides, I can imagine how she got involved with them, to train them and contribute to the association and become an active part of it. Time to give school authorities lessons in pregnancy!